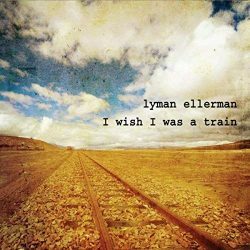 Lyman Ellerman is based in Bon Aqua, Tennessee and has written all the songs and, with Jason Morgan, produced this remarkable record. Listening and being drawn into the eleven tracks, one can’t fail to draw up a picture of the humanity of Lyman that makes him so remarkable. His voice, his guitar work, and the power of his lyrics just underline this presence. ‘Bigger Plans,’ the first track, is a confident, thought provoking, and uptempo starter. You get the measure of Lyman straight away. His words are full of wise warnings of the vicissitudes of life. It’s no good being “bound and chained to your treasures” or “shackled to your fears.” The fact is you’ll never see what’s really coming. “Foundations will crumble,” because you’ll never see what’s really coming, being “too busy making bigger plans.” And the message is swayed up by fine guitar work, here and throughout the album. On the second track, Lyman sings as ‘The Addict’ in what is an outpouring of his own son’s life before his passing. What is powerful about this track is its realisation of what drug dependency can be: “Tangled up and twisted,” “Not the first to realise that nothing’s wrong/ When nothing’s right;” and pointedly, “A stained glass reflection/ Of where I’ve been.” The poignancy of the lyrics and Lyman’s voice tell the story thoughtfully. A deeply moving story. The title track stands on its own, strong enough to be an anthem for modern life: not caring so much about life’s ups and downs, but rather rolling “Down some old steel track/ Through the dark / And not coming back!” A remarkably resolute track to listen to again and again. In ‘Nobody Knows You Like I Do,’ Jessica Dooley, Lyman’s daughter, joins her father, remembering the member of the family they have lost, adding that extra depth. The song, in tone and words, captures not only the loss, but the significance of “The silence and your loneliness,” and the pointed and real memory when “The clock on the wall/ Echoes out of time with your steps down the hall…” “When each tick of the clock/ Is like a bomb going off.” Take note of Jason Morgan’s guitar work on this track. The song describes that empty feeling that obviously fills Ellerman’s life at times, and the resulting emotion that fills all his songs here. So, all in all, an outstanding record from Tennessee that deserves your careful attention.